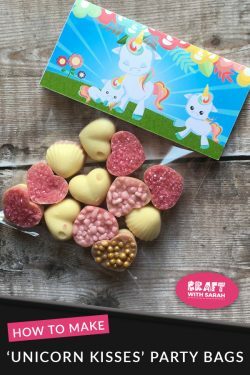 It’s Day 19 of my “Crafty Advent Calendar” where I’m revealing one new FREE craft printable every day for 25 days. 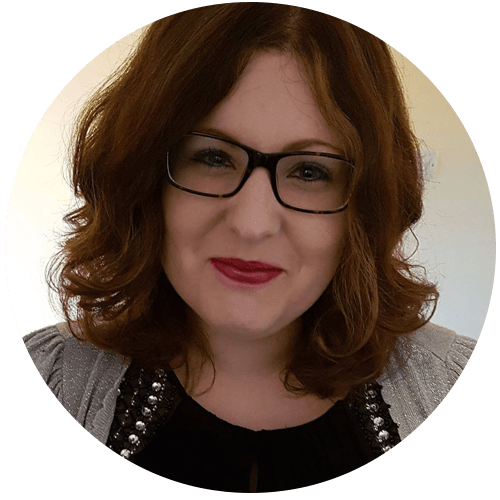 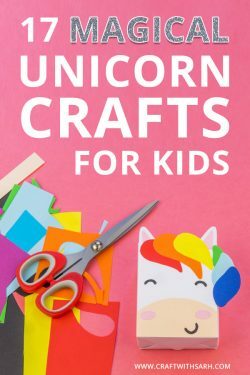 I’ve been sharing all my card making printables on Pinterest this month. 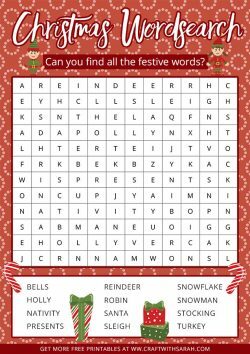 The post that’s been most popular in December has been the Christmas wordsearch that I did for Day 11! 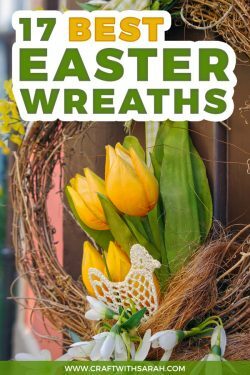 One of my readers sent me a photo of her grandchildren working on the original wordsearch printable and asked me if I was going to create any more as they enjoyed it (although they solved it pretty quickly!). 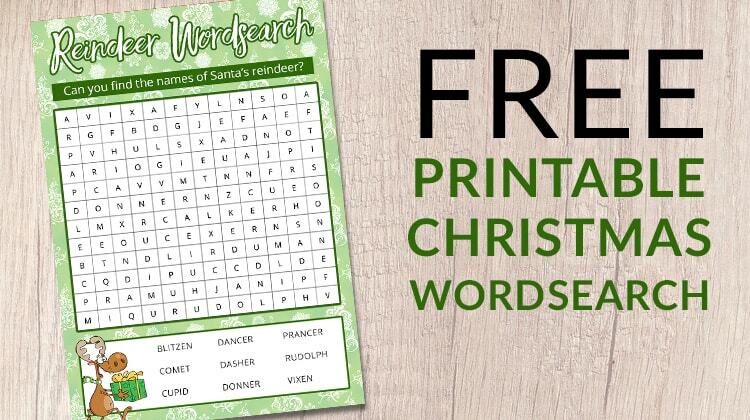 This time the goal is to find the names of all of Santa’s reindeer in the free wordsearch printable. 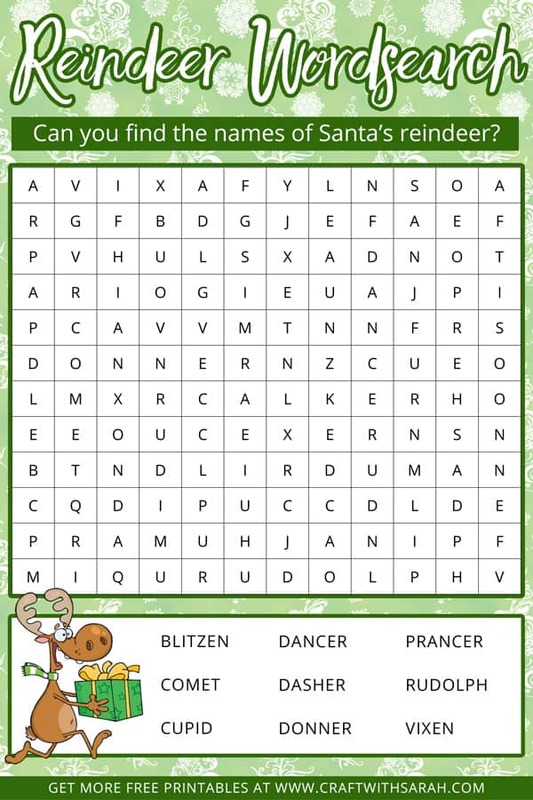 Please take a second to share "Santa’s Reindeer Wordsearch Printable" on Pinterest.